541. 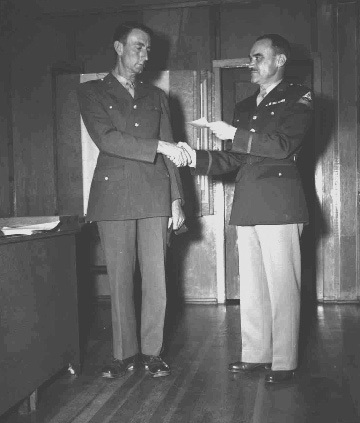 General Kilburn shakes hands with Pvt. Mayberry.